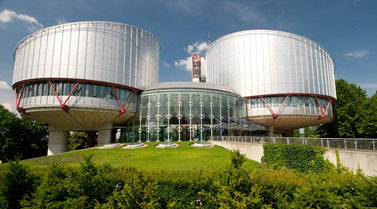 Has the European Court of Human Rights Become a “Small Claims Tribunal”? By Prof Steven Greer, Professor of Human Rights, and Ms Faith Wylde, Research Assistant (University of Bristol Law School). After nearly two decades, the case overload afflicting the European Court of Human Rights has finally been reduced to more manageable proportions. However, it is too early to tell if this welcome trend will be sustained. But, if it is, the authors of this article argue it will have been achieved at considerable cost because, in the attempt to defend it, the cherished right of individual petition has, paradoxically, been undermined.They also claim that the Court has been confirmed as a“human rights small claims tribunal”, that structural violations are now more likely to be institutionalised than resolved, and that a golden opportunity to improve the protection of human rights across the continent has been missed. Greer & Wylde develop these arguments in full in their publication ‘Has the European Court of Human Rights Become a “Small Claims Tribunal” and Why, If at All, Does it Matter?‘ (2017) 2 European Human Rights Law Review 145-154. Posted in Bristol ScholarsTagged compensation, EU human rights law, European Court of Human Rights, individual applications, research nutshell, Steven GreerLeave a Comment on Has the European Court of Human Rights Become a “Small Claims Tribunal”?